Eosso Brothers Paving is New Jersey’s Top Asphalt Paving Company and we’ve been proudly serving Central New Jersey for over 27 years. We have built a reputation in excellence and deliver our customers the best solutions to meet each project’s individual needs. 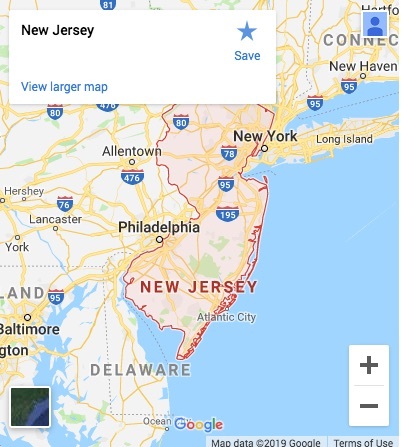 Central New Jersey offers unique things for natives and visitors alike. Apart from great weather and beautiful scenery, there are tons of new things to do. Take a look at the glorious past by visiting Perth Amboy Public Square. The site was erected three decades ago to pay tribute to New Jersey when Perth Amboy was the state capital. And if you want to learn the history of the 20th century, you should visit the Vietnam Era Educational Center. For more fascinating stories about the city, just tour the Atlantic City Historical Museum. While there, you can walk along the boardwalk. The Rutgers Geology Museum engages inquisitive children on issues to do with health, environment, and animals. If you’re feeling adventurous during the summer season, try parasailing. For fun and exciting adventure getaways, you can engage in activities like kayaking, canoeing, horseback riding, sky diving, and more. Also, you can take advantage of free attractions- from hiking trails to boardwalks and sandy beaches. In the heat of summer, there are plenty of options to relax. It’s worth mentioning that there are notable indoor attractions that won’t cost you a penny. If you plan to bring your family, you can explore the Cape May County Park. The 85 acres of lush county garden has more than 250 animal species. Looking for a place to eat? There are many restaurants to try new cuisines and satisfy your cravings. Choose from hundreds of bistros, cafes, and fine dining options. If you’re looking for a unique culinary experience, you can try a wide range of Italian, American, French, and Chinese restaurants. For those interested in surf and turf, they can visit the steak houses. After dinner, remember to stop by at the wine shop. You can also do your shopping at shopping malls like Quaker Bridge Mall, Monmouth Mall, Ocean County Mall, and Brunswick Square Mall. Whether you’re interested in foodie events, celebrations, art or great music, Central New Jersey has something for everyone. Check in here to read about our latest Central New Jersey Paving projects! KIMBERLY WOODS HOMEOWNER ASSOCIATION, INC. Thanks to your entire crew for such professional service throughout the entire project! You have done an amazing job. Thank you! I will certainly recommend you to other managers as well.